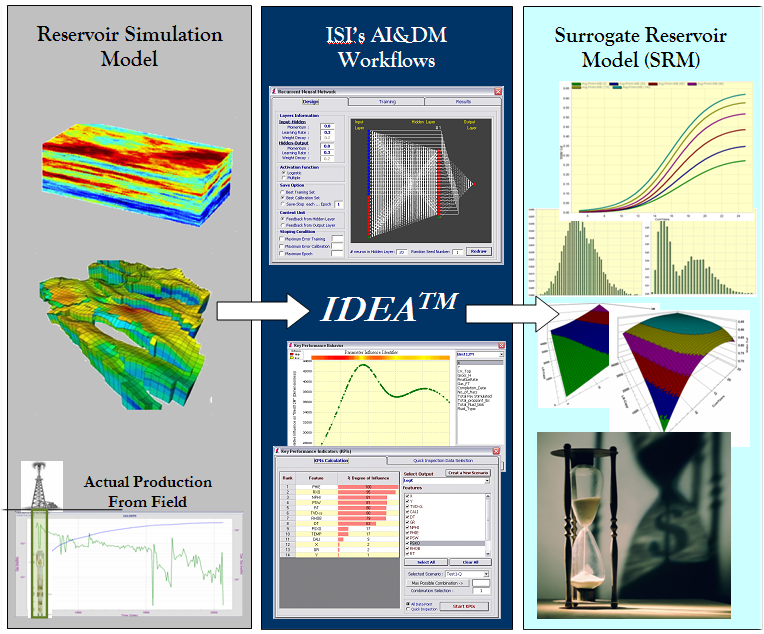 The above workflow represent the process through which Surrogate Reservoir Model is developed using the Reservoir Simulation Model (the dynamic model). The Surrogate Reservoir Model accurately reproduces the dynamic model's results, in Real-Time. 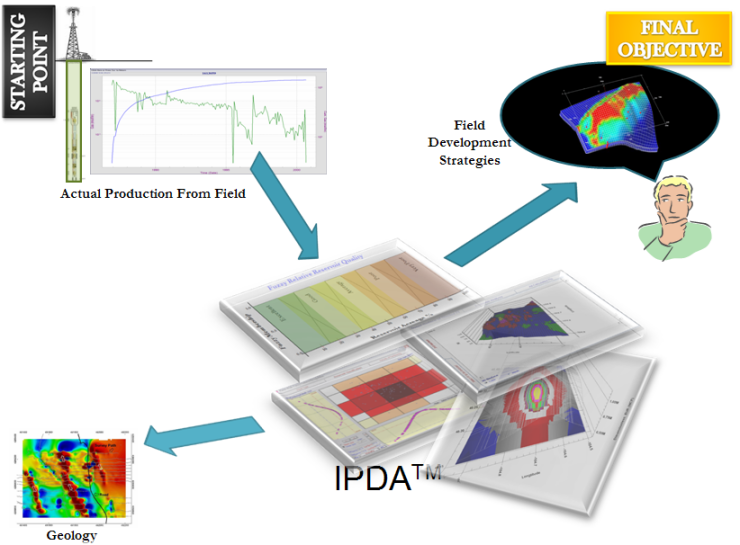 The above workflow represents the process through which a Top-Down, Intelligent Reservoir Model (TDM) is developed for a field. This is a unique and completely independent model of the reservoir that is based on the actual measurements. It can be developed at a fraction of the cost and effort of the traditional reservoir models.